We are often asked "What style of interiors do you do?" The simple answer is: We are trained and experienced to create do whatever style and feeling you wish. Our services include all aspects of interior design projects, large and small. Project styles range from modern to traditional, classic to eclectic, casual to formal. Our speciality is 'putting it all together' for each individual client, to create timeless and satisfying environments. This is accomplished through a synergy that results from a combination of our design expertise and services, along with an ability to provide unique furnishings and elements from quality selections available through trade resources. ​​Linda Medina, IIDA, CID is a native San Diegan with over 20 years of creating award-winning designs. She holds a Bachelor of Fine Arts in Interior Design from San Diego State University. As principal of LMID, Linda has numerous clients throughout San Diego and Orange Counties. Her specialty is residential design and space planning. Projects also include commercial, hospitality, and health care design. Linda has written and lectured on Universal Design; that is, design for persons of all ages and abilities and has instructed classes on building codes and barrier-free design. She has also taught senior design classes at the Design Institute of San Diego and at San Diego Mesa College. Linda's Design Philosophy: “All of my projects are unique, and continually provide me with creative inspiration!" 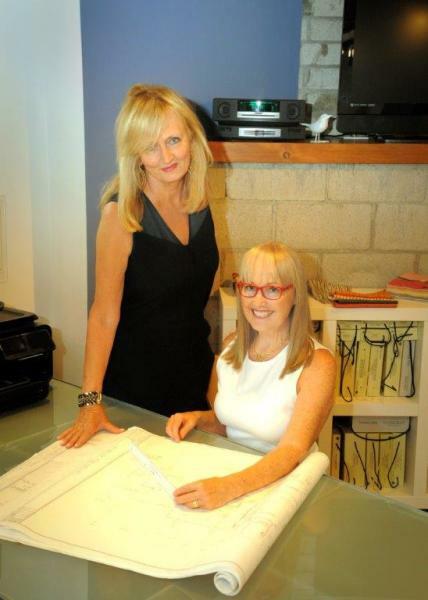 Carol was an award-winning student at San Diego Mesa College's Interior Design program, a former student of Linda's and aspired to become a designer at Linda Medina Interior Design. Carol joined LMID over four years ago, and has a sophisticated eye for polished design. Her design education along with a lifetime of travel and time spent in France and Europe, has provided her with vast amounts of inspiration and influence from other cultures, art, and architecture. With a large and growing following, Carol has most recently been recognized as "one to follow" on Instagram for the creative content of her design work. Check out Carol's daily musings on Instagram!